Our line of rack airflow managements products, specifically designed to control intake airflow in server racks. Our award-winning HotLok blanking panels are considered the ‘best-fitting’ in the industry. 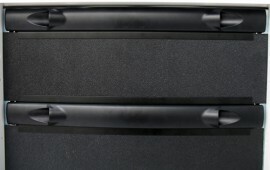 The HotLok® Blanking Panel is a snap-in blanking panel that seals the rack 29% better than the nearest competitor and helps you identify hotspots within minutes of installation. The cabinet temperatures are indicated in color-coded ranges, depending on location of temperature strip panel. The state-of-the-art technology, designed for both 1U and 2U openings, controls airflow for optimized cooling effectiveness. 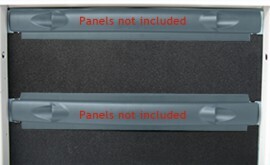 HotLok® Blanking Panel with Temperature Strip is Upsite’s latest green solution for energy savings and reducing the carbon footprint of data centers.